Today on the Aurora we had quite the luck! Early on, before we even arrived at Stellwagen, our Capt. Chip spotted a blow of humpback in the area. Thanks to this close whale we were able to spend quite a bit of time with this individual. 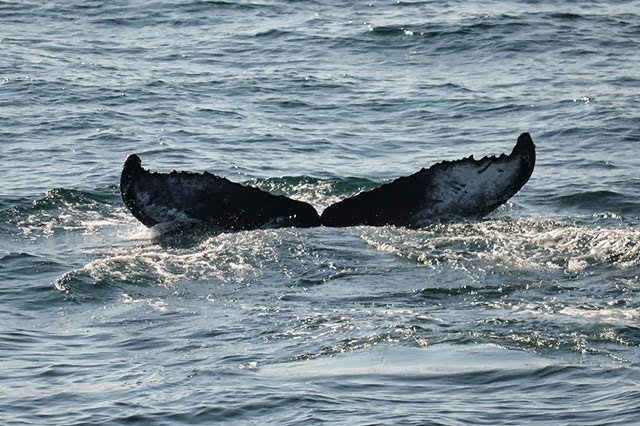 This whale was quite small and didn’t fluke much, and for its size appeared to be a juvenile. 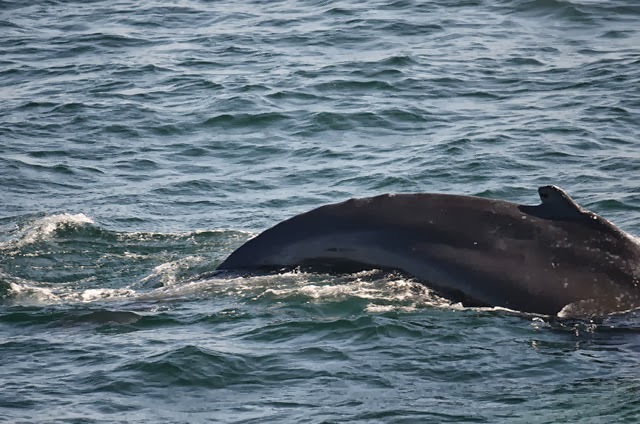 This whale would only surface once and then quickly turn a different direction, but I was able to get a few ID shots. Checking the databases, we matched this youngster to Scylla's 2012 calf! We spent a lot of time with Scylla and her 2012 calf last season, good to see this calf on it's own this fall! It's fluke has changed quite a bit since last year as well! Luckily this whale didn’t travel far so we got some great looks, and the individual also made a few small bubble clouds which was an interesting behavior to observe. A few gannets nearby and a minke passed by briefly, for an overall great day in early October!